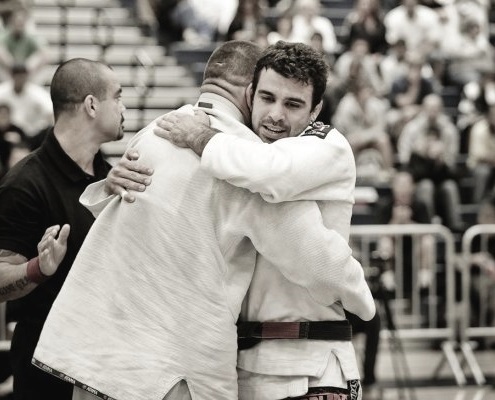 Rodrigo has been involved in the jiu-jitsu scene for over 25 years. He has shared the mats with the who’s who of jiu-jitsu either in competition, with the likes of Marcelo Garcia, Bill Cooper, Cassio Werneck, Rafael Lovato, Demian Maia, Javier Vazquez, B.J. Penn (to name a few), or in training with Kron Gracie, Xande Ribeiro, Rigan Machado, Rodolfo Vieira, and yes, B.J. Penn (again). 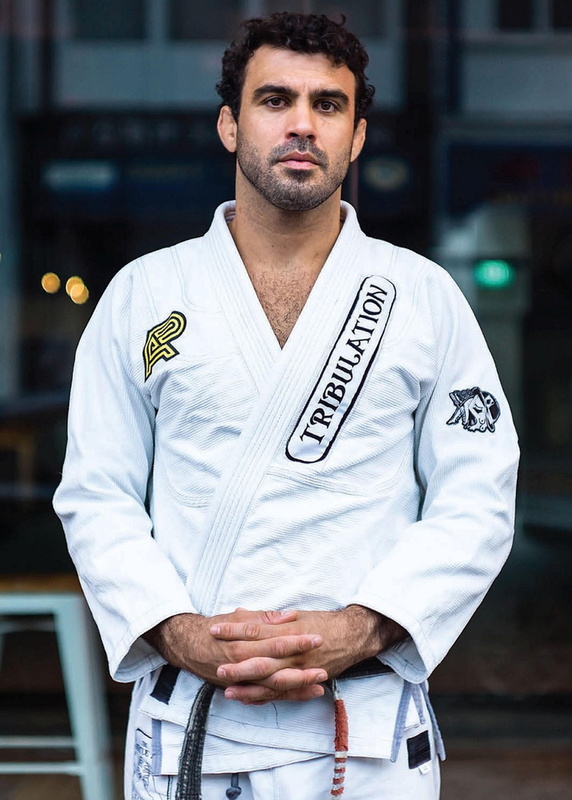 However, outside of competing and throughout his involvement in jiu-jitsu, Rodrigo has dedicated a significant portion of his energy to travelling the world and helping build jiu-jitsu communities in areas where the art is sparse and seldom practiced. I guess you can say that chapter of his jiu-jitsu journey began when Rodrigo first came to the United States as a young teenager to help his big brother, Pedro Carvalho, establish Brazilian Jiu-Jitsu during, what many consider the first generation migration of jiu-jitsu, in the mid-nineties- the time when Royce Gracie ruled the UFC and jiu-jitsu was introduced to the North American masses. Through the years, he was able to establish a very strong (albeit small) competition team of his own, work with Law Enforcement agencies, and introduce the art to college campuses. 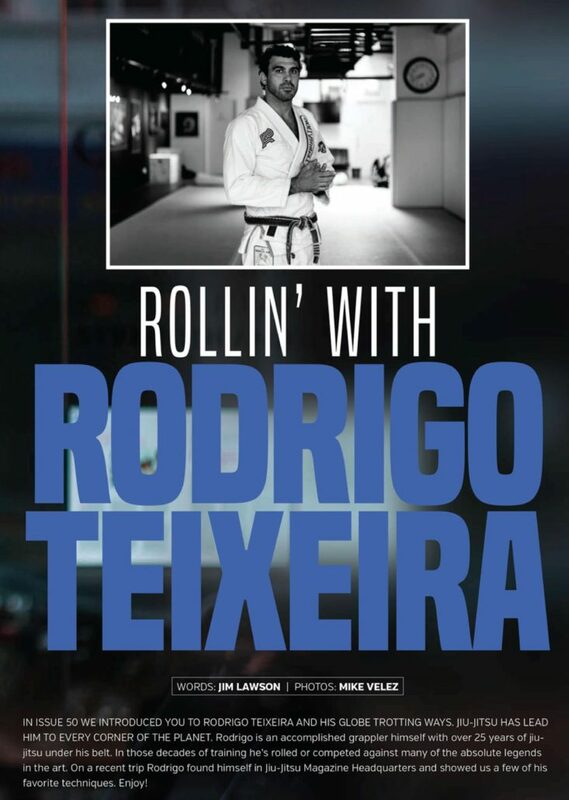 In August 2012, “The World Traveller” (one of the monikers his students affectionately gave him) decided to turn the page to another chapter in his jiu-jitsu journey. He has since been travelling the globe, growing our community once again by establishing an affiliate academy in India and serving as the lead instructor at “The Gentle Art Academy” in Singapore. Jiu-Jitsu found me. When I was 12, my brother insisted that I start training jiu-jitsu. Back then he was a purple belt and had recently opened a gym in Barra da Tijuca, Rio. Soon after that, I couldn’t stop thinking about jiu-jitsu. You’ve had the privilege of training under many well-known practitioners, who are some of them? I started training with my brother, who, at the time, trained at the famous Carlson Gracie Gym in Copacabana with fighters like Murilo Bustamante, Walid Ismail, Minotauro, Ricardo Liborio, and many others. Soon after that, we both went to the US. I went a little bit after my brother, in the beginning of 1995. In 1997, I went back to Brazil where I trained at Alliance with Professor Ratinho. In 1999, I went back to the US and started training with my brother again and was also going for classes at the Machado Academy in Redondo Beach. In 2000, I was back in Brazil training with Brigadeiro who was a brown belt back then. We would go to De La Riva’s for the morning classes where Brigadeiro trained at. In 2003, I was in the U.S., and in November, was opening my first gym in Walnut, CA. Soon after that, my brother moved to Florida and so I started training at the Rickson Gracie Academy with Kron. In 2013, I returned to Rio where I started training with Theodoro Cannal, one of the head coaches of the GF Team Rio who I still fight for nowadays. I know you’ve been an instructor for a while, how did you get into that? When I first moved to the U.S. in 1995, jiu-jitsu wasn’t nearly as popular as it is nowadays. There were less than 10 academies in the whole country, so soon after that, in 1996, I got my blue belt. Jiu-jitsu started gaining popularity with Royce and the UFC and due to the necessity and high demand, I had to start teaching group and private classes at my brother’s academy in Rancho Cucamonga, CA. Where are some of the areas you have visited and taught Jiu-Jitsu? I’ve visited 26 countries and had the opportunity to teach classes in 16 of those countries, keeping strong ties with India and Russia at the moment.